On many college campuses, instances of stress, depression, and other mental health problems are rising. Experts say today’s students are facing very different challenges from what their parents did. 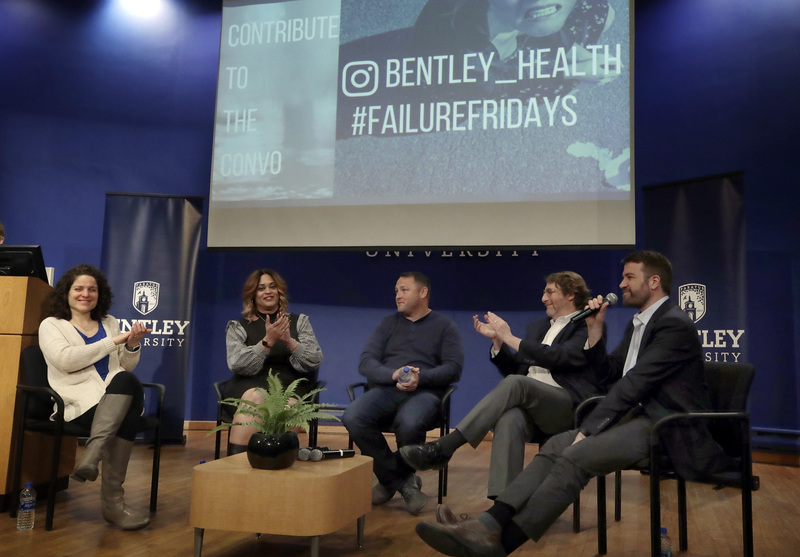 Now a growing number of U.S. colleges have begun teaching an important life skill: how to fail. Learning to fail may seem a strange talent. After all, the Bible says, “Whatever you do, work heartily, as for the Lord and not for men.” (Colossians 3:23) But the Bible also speaks often about enduring patiently and not becoming weary (Colossians 1:11, Galatians 6:9)—clear signs that life can often be difficult. Across the country, campus mental health officials report that students often seem overwhelmed by everyday stresses. “Anxiety is rising like crazy,” says Nance Roy, a psychologist who works with schools. Colleges are introducing programs to help students ease their anxieties around failure and teach them to cope with it. These include “grit coaching,” “resilience resource fairs,” and “Adulting 101” workshops. Experts propose theories about why today’s students sometimes struggle. Some think younger folks just aren’t tough enough. Others say social media showcases images of perfection that make students feel bad about their own lives. And although some folks may ridicule a generation of “fragile snowflakes” who need “safe spaces,” mental health experts say students today grapple with pressures past generations didn’t—including recurring threats of school violence. I wanna say something but there just isn't much to say. I think I'll probably stress out too much in college, so this would be great for me. This is good to know. In my opinion. . .
Everyone gets nervos. but I think these people just need to get Saved and push thruogh (not saying they arnt saved some are and some arnt) Rememberr the Bible seas that Satan is a Roring loin seekinh whom he may devouer. so what ever we do that is rite the enamy tryes to take us down. If you don't belive me i can share som testimosies with you. I think that if you are a rilly shy person and get streesd out esily then this is for you but I wouuldn't go to one of there workshops beacuse they most likly use sycoligy. But teaching somone to fail is a good idea I mean thats what they do in the milatary to bild strong solder for the cause. I don't think they are feeling bad about there oun lives i think the enimy is just trying to stop them from fufiling Gods plan for there life. Thats just my opinion if you disgree pleas say so. I agree there isnt to much to say but I hope people are able to calm down and learn not to be so stressful. Question of the day... what do you want to be when ur older and if you want to take the question further, do you know what collage/school you want to go to? I want to be a pianist in my church. and I want to go to Jimmy Swaggart Bible Colage www.jsbc.edu I think thats the web. so now people are teaching people how to fail in collage?!?!? if they are going to do that why go to collage at all? I'm still not sure what college I want to go to but I want to be a nurse or a criminal investigator. I want to be a world and Olympic wrestler and go to the University of Iowa. Hmm... I would be interested in either being a horse trainer or a landscaper. I want to be an author, and I am considering Flagler College in St. Augustine, FL, although my first two years will be somewhere where I live. Plans will probably change, but for now that is where I want to go. First of all why do you need to learn how to fail? I mean my goal is to try NOT TO FAIL even if I try to do it right. If they are going to grow into adults and get a job they might just fail because of what they learned. If you try to do something right but fail that is okay but learning to fail on purpose is probably going to hurt them later on. when i get older i want to be a professional archer. in the school archery tournament if you've heard of it i made 8 for state 32 for us and sixty something for world. The reason these people are failing so badly is b/c they have lived a life of participation awards where everybody wins. Sadly, they also haven't been disciplined by their parents and taught that the world ain't fair. I get the part about stress b/c you're away from home for the first time but you shouldn't need a "safe space" with coloring books and whatknot b/c they are adults who should be able to handle failure and disappointment. They also should be taught by their parents how to be adults. College and high school students should not need "Adulting" classes but they do b/c sadly their parents weren't there for them. The most important point, however, is that these people need Jesus to guide them throughout their lives. Also I want to either go to Wharton and get a degree in Business, Accounting, or Finance. My second choice would be to go to one of the military academies or just enlist right out of high school, go to a trade school and learn welding. and my fourth choice would be going to Maryland and majoring in some sort of technology. I completly agree with you! very good point! Wow!!! You must be really good at archery!! My cousin, in Kansas, is a wrestler (he is only about 13 years old or so); I forgot what place he got, but he is REALLY good at wrestling.